The Korean people consider themselves mountain people. This is not much of a stretch considering that a mountain system called the “Paektu Daegan” forms the spine of Korea, even extending into the sea before emerging again at Jeju Island. Paektusan (san meaning mountain in Korean) being the most prominent of all these mountains, forms the head of the trail of mountains and serves as the peninsula’s connection to Asia. Approaching the head of the trail leads to an increase in mountain density, with North Korea’s land mass being 80% mountains, and South Korea having vast fields of fertile plains. The mountains that make up this network are considered holy to the Korean people, and bring life to the entire peninsula. In this post, we’ll cover the top 5 most celebrated of these mountains that are in North Korea. 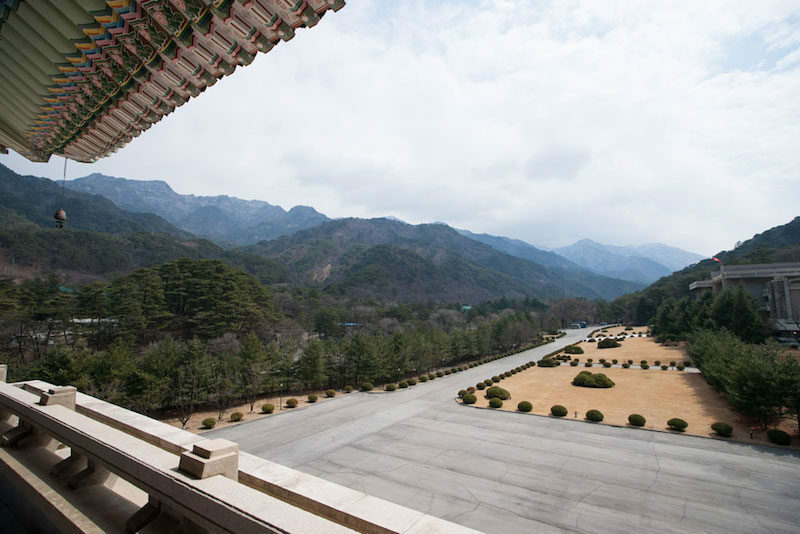 Visit Paektusan, the most sacred of all the Korean mountains and the said birthplace of Kim Jong Il. 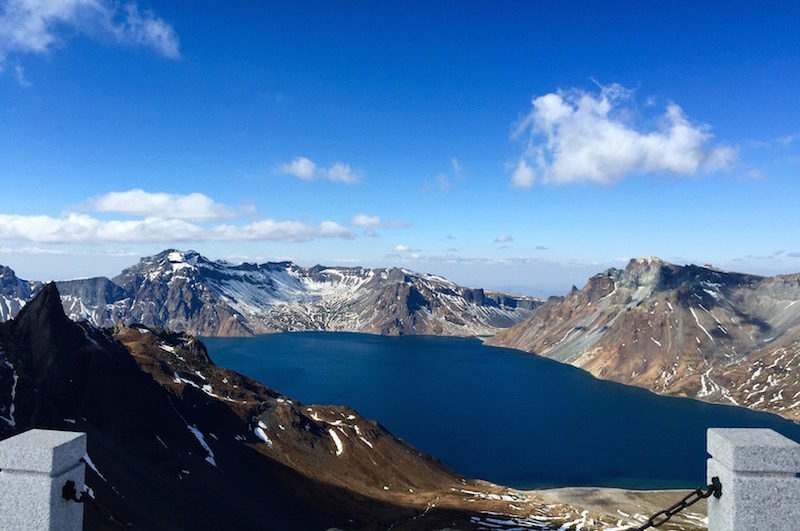 Translated into English Paektusan means “White Head Mountain.” There is a lake in the caldera of the mountain called “Heaven’s Lake” that remains frozen until around mid-June; this lake is also the deepest crater lake in the world. At 2744 meters tall this mountain is easily one of the tallest in the entire region, and the tallest on the Korean peninsula. This mountain is held dearly all throughout Korea, it is even considered to be the birthplace of the first Korean people. Paektusan is considered a geographical anomaly since no one knows exactly why it was formed here. North Korea recently invited western scientists to come study it and hopefully come up with some answers. There is a lot on the line here, since the eruption that occurred about 1000 years ago was one of the most violent the world has ever seen. However, although the last eruption happened in 1903, scientists have concurred that the area remains safe for tourists. A visit to this mountain is a once-in-a-lifetime experience. The “Mysterious Fragrant Mountain,” although maybe it shouldn’t be called mysterious considering floral fields surround the trail leading up to it. 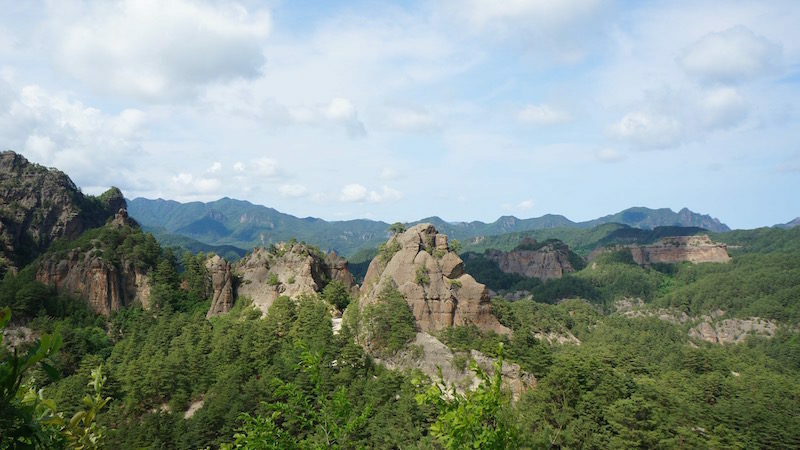 This mountain is considered to be the home of the first king of Korea, King Tangun, who is said to have descended from the heavens and to have founded the first Korean kingdom over 4000 years ago. Its tallest peak is at 1009 meters tall, making it obvious this mountain has plenty of space for various tourist attractions. Notably, the International Friendship Exhibition exists here, a museum housing gifts to the leaders of North Korea from foreigners around the world. Rumour has it that it’s home to 220,000 gifts. There is also the Ryongmun cavern system that is open for public exploration. Various secluded Buddhist temples also lay within these mountains. Be sure to check out the Pohyon Temple, it is over 1000 years old and was the epicentre of Buddhism during the Koryo dynasty. The name of this mountain switches with the seasons, but it is commonly called Kumgangsan. Known as the diamond of Korea and also its second tallest mountain, with the tallest peak being 1638 meters high. 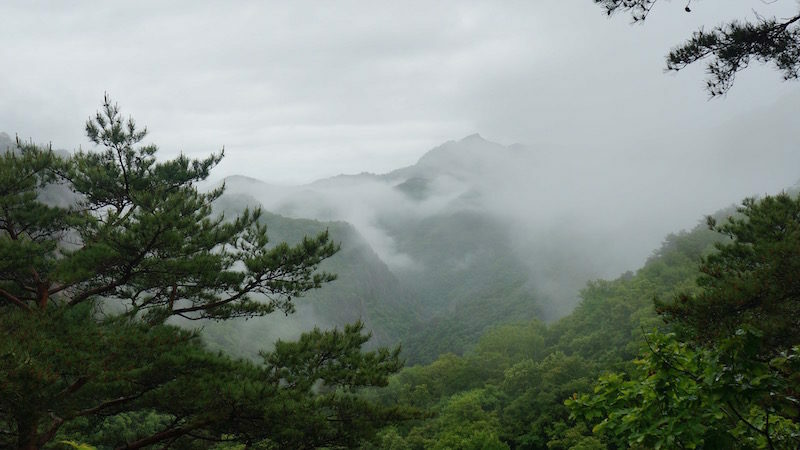 This mountain is divided into 3 areas: Inner Kumgang, known for its temples; Outer, known for its waterfalls and hot springs; and Sea, known for its lagoons and rock pillars emerging from them. This mountain historically has been popular with artistic types that need a place to contemplate; and many did so in the suspended Poduk Hermitage, which is kept from falling by one copper pole. Find refuge yourself at a zen monastery named Pyohon, located in inner Kumgang, dating back to 670, one of the oldest of its kind. An unusual amount of jagged rocks litter the landscape here, even the peaks are jagged, so watch your step. This is a tourism area that both South and North Korea helped to develop. The “Mountain of 7 Treasures,” legend has it that there are 7 treasures buried within. This is actually a series of mountains but they are commonly referred to as one, with the tallest being Sangmae Peak at just above 1100 meters. Also like Kumgangsan, Chilbosan is divided into 3 areas: Inner, Outer, and Sea; each with various notable aspects. Throughout Chilbosan there are rare rock formations and beautiful viewpoints, especially when snow is on the ground. This mountain is popular with tourists who are eager to learn from local guides sharing stories of folklore and adventures. Visit the Kaesim Buddhist Temple as well when you are here, one of the main attractions of the area. This temple is over 1000 years old, founded in 826; And is one of North Korea’s official national treasures. The “September Mountain,” taking its name from the most prime time of the year to visit the mountain, September. Just below 1000 meters this mountain is hardly one that dominates the skyline. It does however dominate the domestic tourism market of North Korea, with many locals visiting it during the summer. Check out one of the many valleys during September to get a full dose of the fall foliage. Many of the forests here have never been explored by people before and are ripe for exploration. 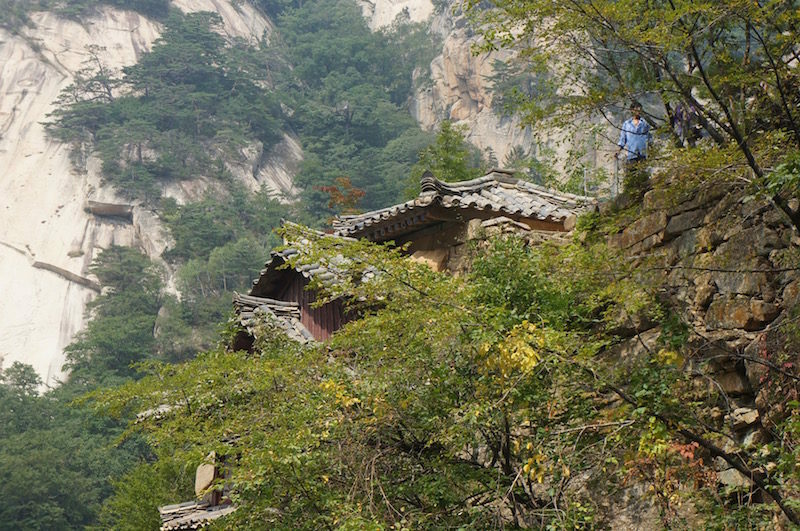 Another notable feature of this mountain is the Mausoleum of King Kongukwon. Inside the tomb you can find wall paintings that will allow you to catch a glimpse into the life of an early Korean. This mountain was also the staging area and an important battleground during the Korean War.